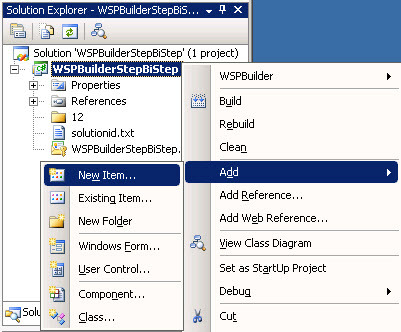 Before we started the development, we have to install the WSPBuilder (SharePoint WSP tool), an extensions for Visual Studio. Just download the latest version here and install it. It is pretty easy steps. 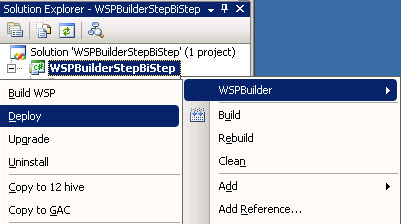 Step 1: Create a new project on visual studio and then select the project type WSPBuilder under C# programming language (I am using Visual Studio 2008). 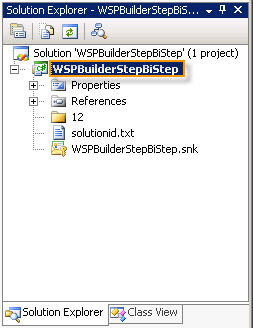 Step 2: This is will create the following structure in the solution explorer. 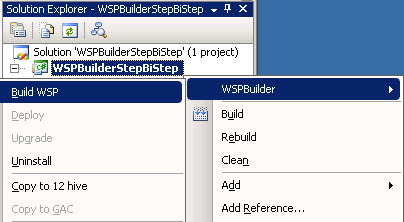 Step 3: Right click on the project (WSPBuilderStepBiStep) and then add a new Item. 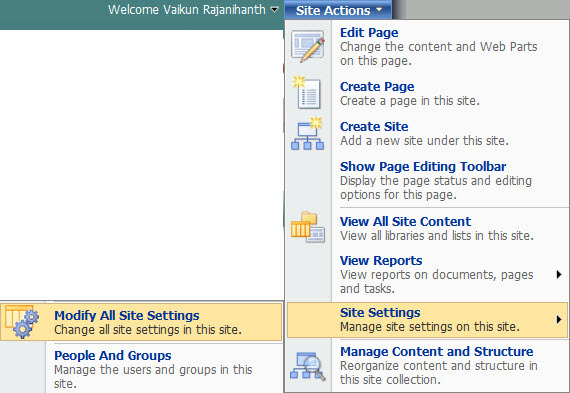 Step 5: We will get the following dialog box and asking for the scope for this Web Part. I just modified the description and select the scope and then click OK. Step 6: The solution explorer will look like this. Under the 12 hive folder you can see the Template and Features sub folders. 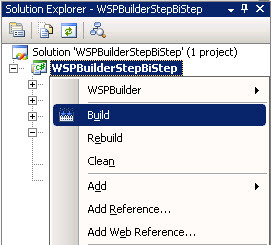 Step 9: To build the project, just right click on the project name (WSPBuilderStepBiStep –> Build) and click Build. 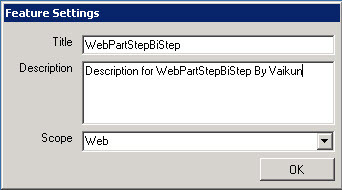 Step 11: This will create the .dll and .wsp files. 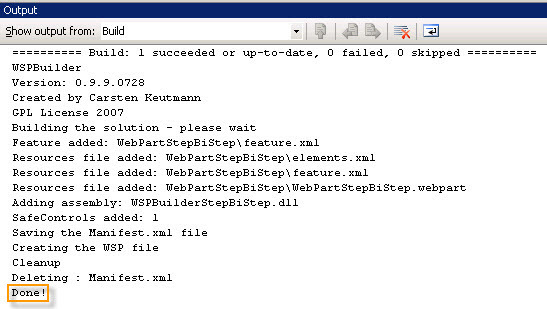 Step 13: You will get the following output, saying the .wsp file deployed successfully (done!). 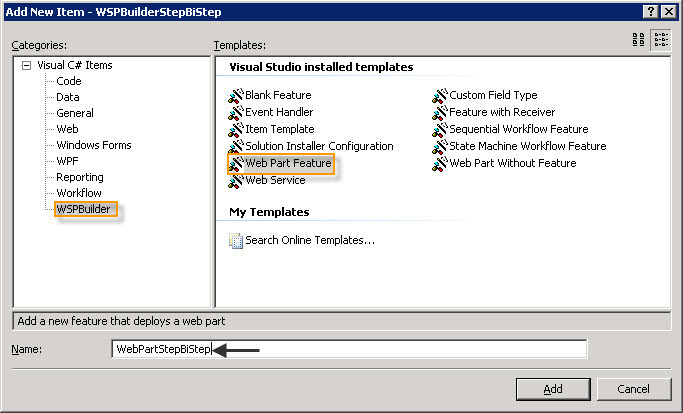 Step 14: Go to the Web Part gallery and populate the deployed Web Part on the New web part page. Please note: You have to run the Visual Studio as Administrator, otherwise you will get this error when you deploy the web part. I was developing a Webpart using WSPBuilder (SharePoint WSP tool) in my new development server (SharePoint 2007, Visual Studio 2008 and Windows 2008 R2) and was trying to deploy the solution then I have got the following error message! After spending several minutes and I have found the solution here! 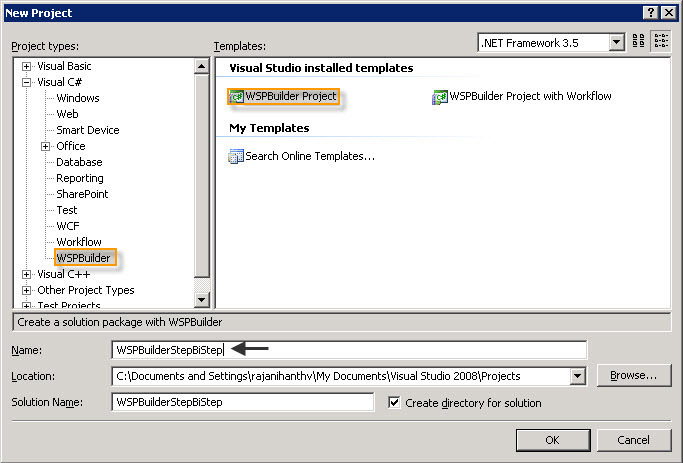 If we want to deploy a solution using WSPBuilder, it needs the Administrative privileges, so we need to run the Visual Studio as Administrator. 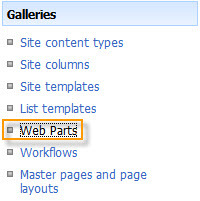 That’s it, I was able to deploy the Webpart successfully! You are currently browsing the archives for the WSP Builder category.